Did you miss the 2011 Winter Blanket & Toy Drive? Special thanks to everyone who attended our fundraising event! 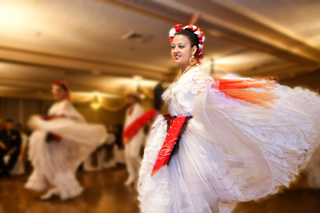 With the Baile de floricia, the Spanish flamenco dancers, live band, and the testimonials, it was a great success! Thanks again!!!! Binational Emergency Medical Care Committee has the pleasure of inviting you to their 35th Anniversary International Fundraiser Gala & Awards Dinner! The Fundraiser will be held Saturday October 2, 2010 at the Cula Vista Golf Course. BEMCC is hosting its annual blanket, food, and toy drive to benefit families and children living in underprivileged neighborhoods throughout San Diego County and south of the border. On March 26, 2008, BEMCC hosted a honorary luncheon. A Certificate of Appreciation was given to the California Fire Department, UCSD Burn Center, Desert Angels Rescue Team, San Diego Police, District Attorney officials, Television, radio and newspaper representatives, and other local citizens. 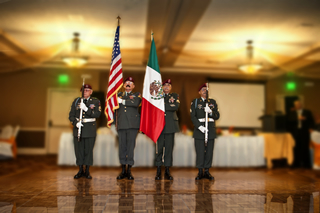 Humanitarian awards were given to the unsung heroes of our Binational Community. The award states: "This day we honor those who served during the October Fires of 2007. Some say none of us imagined that this could happen to us. Many lost their homes and everything they owned. Others lost their lives." We want to thank the fire fighters, doctors, nurses, social workers, law enforcement officials, volunteers, federal, state, local government agencies and the local citizens who were there to give a helping hand to the survivors of the wildfires. We thank you. Celia Diaz, founder of BEMCC was invited to be a keynote speaker at a Flying Samaritans seminar at Estero Beach in Ensenada, Mexico. Celia told the group her incredible stories of how she assists people in Mexico during medical emergencies. Most people do not realize the difficulties and the red tape involved when trying to rescue an injured person out of Mexico. The "Flying Sams" are an inspirational group of people that are doing great work in Mexico. Find out how YOU can get involved with a Flying Samaritans chapter near you.